It’s been a week since the 25-year anniversary of the death of Kurt Cobain. Cobain meant so much to so many. 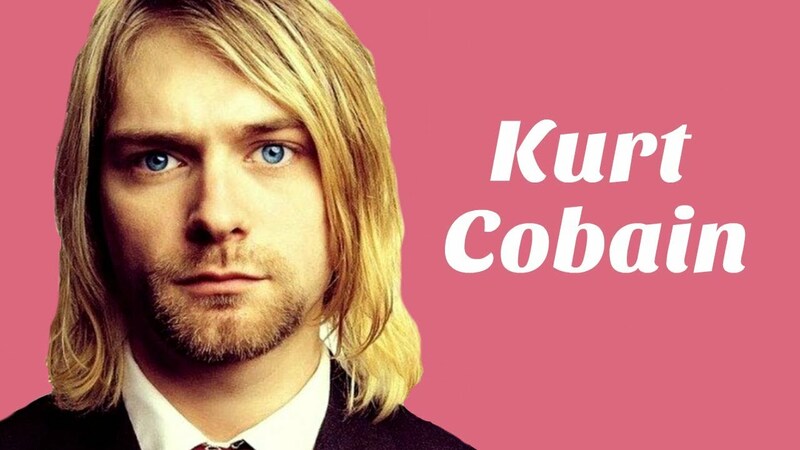 Many bands that are relevant today credit Cobain as one of the reasons they are in music. For someone who only lived 27 years and was in the spotlight for just over a handful of those years, Cobain’s influence on the music industry and pop culture as a whole cannot be denied. Being 37, I can remember April 5, 1994 well. I had just returned home from school and like always, turned on MTV to watch the latest barrage of popular music videos. That’s when the news was broken to the masses by Kurt Loder. The popular Nirvana frontman, who had battled heroin addiction and depression had put a shotgun to his mouth and pulled the trigger. It was a blow to the music industry, a blow to the grunge movement, and a blow to Cobain’s fans. Just five months earlier, Nirvana recorded what is considered by many to be one of, if not the greatest live album ever recorded, as the band filmed MTV Unplugged. What is still considered a monumental moment for the band and the music industry nearly didn’t happen. Cobain was going through withdrawals the night before the recording and was so irritated with drummer Dave Grohl the lead singer nearly walked off the stage. Nirvana’s second album, Nevermind, is considered a groundbreaking work of art by most in the music industry, having sold over 30 million albums worldwide. What’s funny is In Utero, the album which was released after Cobain’s death, in my eyes and the eyes of a lot of rock fans, is actually a better album. To really understand Nirvana’s impact, one must consider how when Nirvana’s Nevermind hit the scene, it effectively killed the hair band trend. Gone, nearly overnight were bands like Poison and Warrant. Seattle became the Mecca of rock music. Grunge became a worldwide phenomenon. Cobain became a cultural icon, who was seemingly uncomfortable with his fame. Even though Nirvana hasn’t released an album since the 2002 self-titled greatest hits album which featured one new song, the band continues to be popular today. Drummer Dave Grohl went on to front one of the biggest rock bands in the world, Foo Fighters, while a new generation of teenagers dawn shirts of Cobain, Cobain’s lyrics and the band in 2019. One of the major reasons for this was the band’s willingness to stand up for the gay community, women and anyone who was oppressed. Kurt Cobain isn’t just a musician to many, he is a representation of the underdog. Cobain was really ahead of his time with his progressive and artistic values. While the rock icon has been dead for 25 years, it’s only natural to think about what he would be like today. He would be 52 years old. His daughter was just a baby when he killed himself, but she continues to honor her father, often posting photos of him holding her or pictures of him and her mother Courtney Love. Many fans have paid tribute to Cobain over the years. For most, a trip to Seattle is not complete without going by the home where Cobain ended his life. Fans go there to leave souvenirs or pay tribute to a musician who has become a cultural icon. In closing, it’s hard to imagine what the music scene would be like today if Cobain was still alive. Much of his final days were spent battling depression and drug addiction which had put a strain on his band and his marriage. It’s hard to say if he and Love would have remained married or if the band would have remained together. I’d like to think that Cobain would have beaten addiction and depression and went on to live a happy life with his family, but that was just not meant to be. Instead, Cobain’s death made him into a mythical figure, arguably bigger than Elvis or John Lennon. Grohl, the most recognizable musician from Nirvana, has went on to become one of the most popular lead singers in the past 25 years. Would this have happened if Cobain was still alive? So many questions, for which we will never have the answers. Cobain left this world way too soon. He left millions of fans wondering what could have been and if he could have been helped? He left behind a daughter and a wife who continue to be haunted by his death despite moving on with their lives. Perhaps the best way to remember Cobain is to look at the generation he influenced. For all the negative and demons, the man had battled, his music remains a positive glimmer of hope for those who have dissected his lyrics over and over again throughout the years. Mental health is now a bigger deal than ever. People have recognized how important it is to take care of themselves mentally and there are now so many more ways to fight depression and addiction. I’d like to think that Cobain’s death, while a selfish act by his own hands, helped start the process of shedding light on these epidemics.